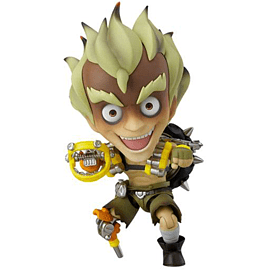 From the globally popular multiplayer team based shooter Overwatch®, comes the eighth Nendoroid figure from the series, Junkrat! 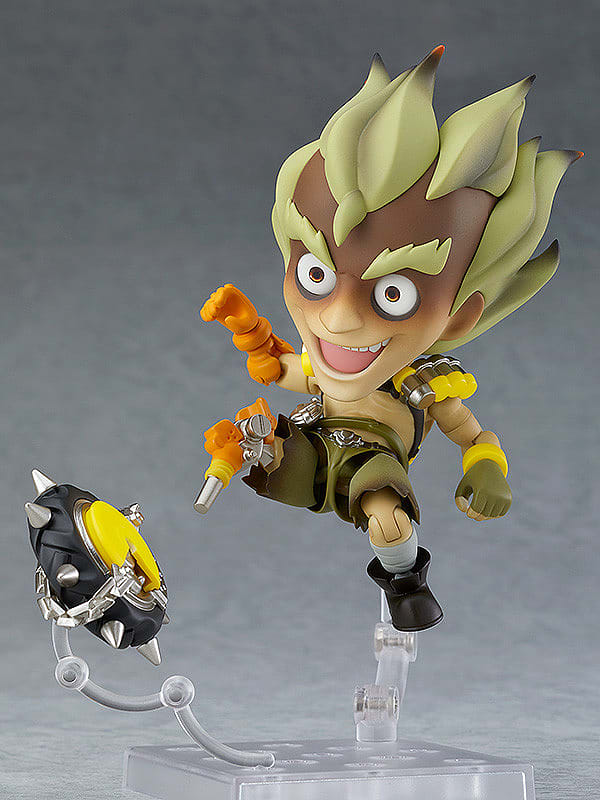 His artificial arm and leg, the multiple patches on his pants and various other details from his Classic Skin have been carefully included on the Nendoroid design! 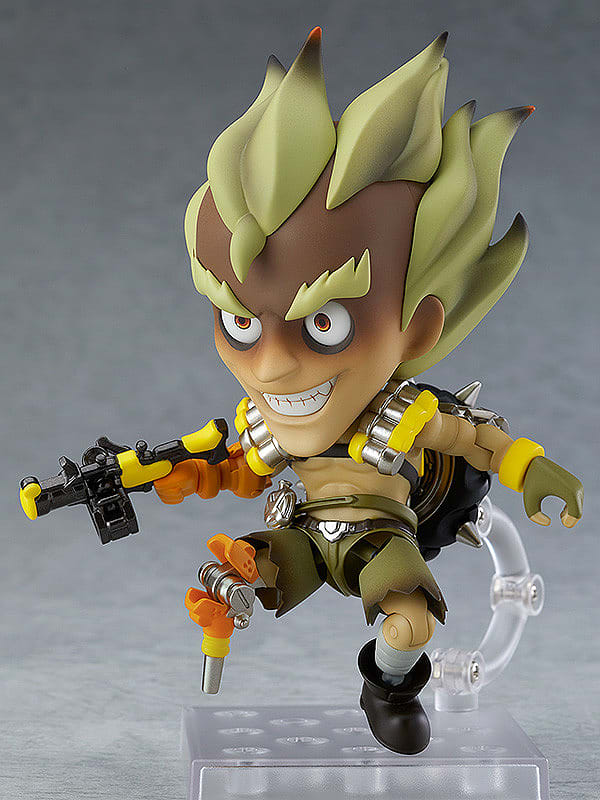 Nendoroid Junkrat's neck features a double-joint allowing for more acrobatic poses as he propels himself through the air! The RIP-Tire on his back can be detached and comes with its own stand to pose it as if moving along as if Junkrat has used his ultimate ability! A concussion mine part as well as the switch to detonate it are included allowing him to be posed waiting to trigger the mine on an unsuspecting enemy. 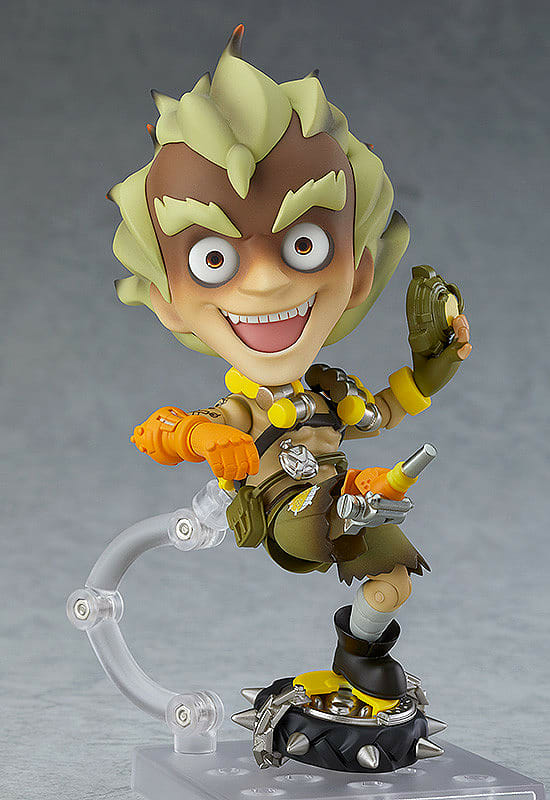 His steel trap is also included and can be opened and closed allowing you to display heroes trapped by the metal-toothed trap, and can even be held in his hand to recreate his Vaudeville emote in Nendoroid size! 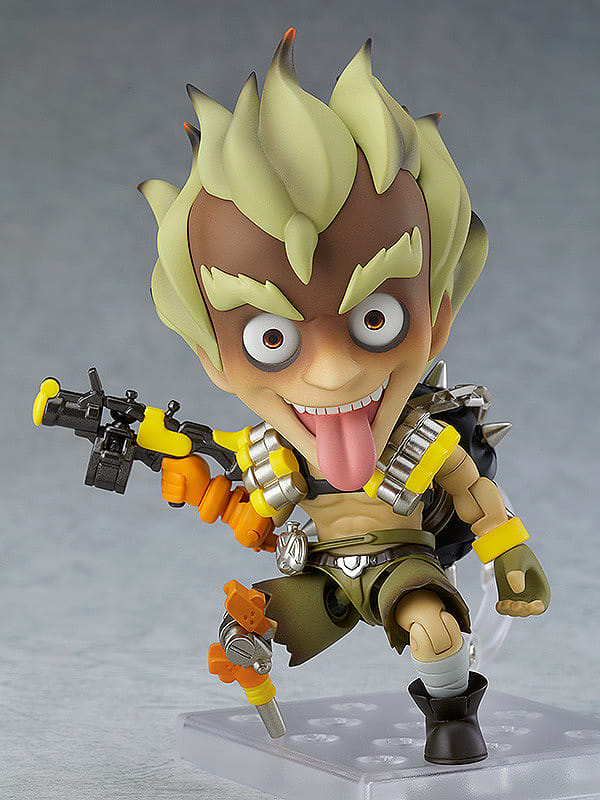 Be sure to add him to your collection and display him with the previously announced heroes in the Overwatch® Nendoroid series! The figure stands approx. 10 cm tall and comes in a window box.